You may shop at any Barnes & Noble, not just the one in Antioch. You may also shop online from anywhere at bn.com/bookfairs from Nov. 30 – Dec. 5 and enter their ID number 11714250 on the checkout/payment page. Books, CD’s and DVD’s make great gifts. 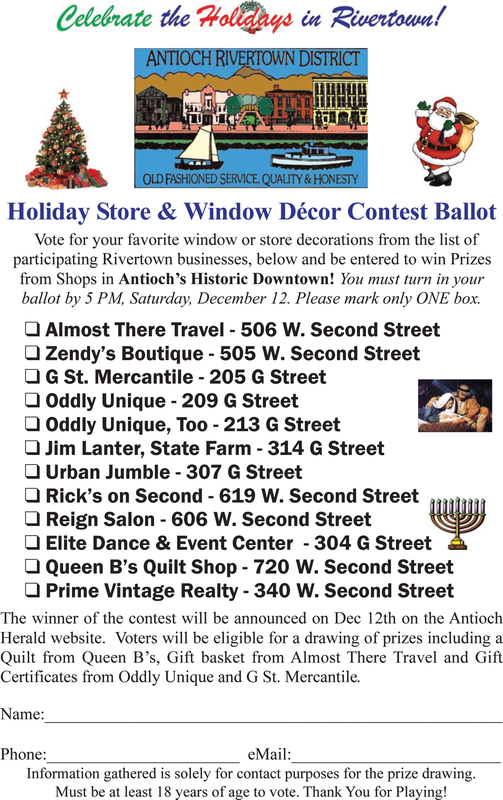 During the day at the Antioch store, they will offer free gift wrapping and children’s crafts. Plus, spin the wheel and win prizes. Thanks for shopping and supporting AAUW – proceeds go to educational scholarships and Tech Trek. 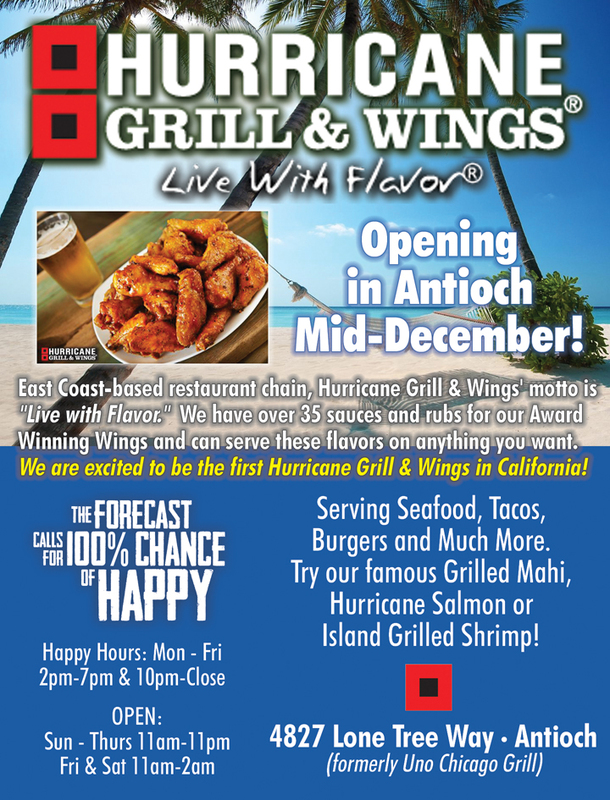 New Antioch restaurant now hiring, this Saturday and Sunday 1-5 p.m.
Give back this Christmas Season by providing a new pair of Pajamas to children in need in East County. All Donations are tax deductible and each donor will receive an emailconfirmation and tax receipt. PJ’s will be distributed on December 12, 2015. 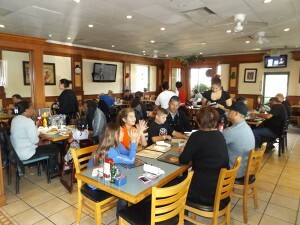 Rincon Café owners Jose Recino and Laura Salguera and staff welcome you. 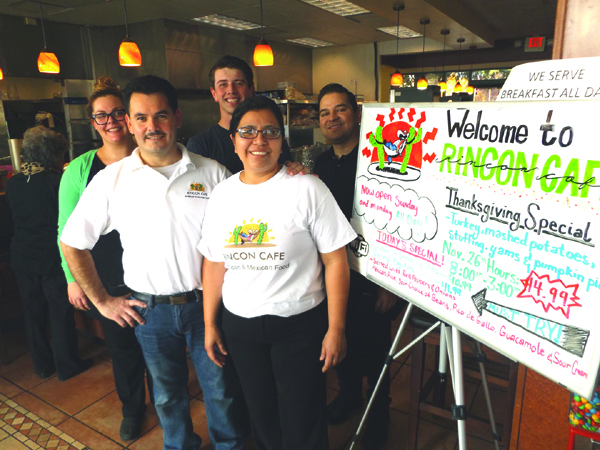 Dad’s Café in Antioch is now Rincon Café, with new, husband and wife owners, José Recino and Laura Salguera, venturing into the restaurant business as operators for the first time. But, they both bring with them years of experience. José has been a chef for 22 years and Laura has worked in the restaurant business for 18 years. They’re keeping the menu the same as Dad’s, but are focused on adding more Mexican dishes. They plan to feature special meals during their Fiesta Fridays. 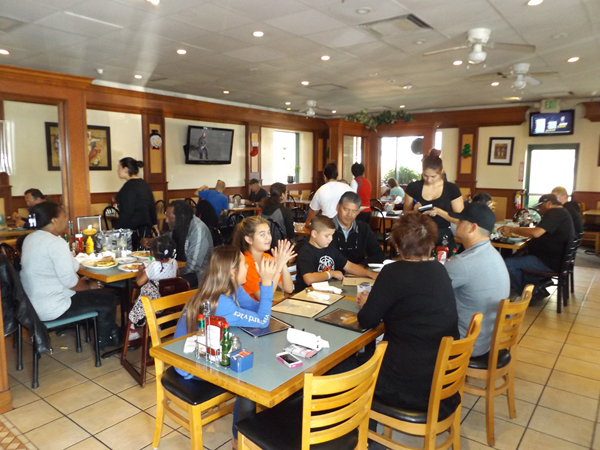 Rincon Cafe customers enjoy breakfast on Saturday morning, November 21, 2015. “We want everyone to know about our delicious, Mexican food dishes,” Laura said. Rincon means corner because that’s where they’re located – at the corner of Deer Valley Road and Hillcrest Avenue in Antioch, in the Crossings Shopping Center where Safeway is located. The restaurant offers inside and outdoor dining on the patio, take-out, catering and private parties. Rincon Café serves breakfast, lunch and dinner all day and offers their Hora Feliz! which means Happy Hour, from 2 p.m. to close, each day. The restaurant is open seven days a week from 7 a.m. to 9 p.m. Call for reservations or to go orders at (925) 777-0791. But, she said she learned the school district was not going to send out notices to parents until January. Interim Superintendent Stephanie Anello, in her first meeting in her new role, responded. “I’ve heard your concerns and will meet with staff in the morning,” she said. Board President Claire Smith also offered a response. “Those kids who want to be in the general education pathway…we need to always maintain that,” she stated. Another parent, Nallely Malaspine, shared her concerns with the English Language Development (ELD) program. “The whole program needs restructure,” she said to light applause from the many faculty in attendance. Smith responded briefly, stating that state law has something to do with the district’s limitations in the area of bilingual education. Deer Valley High teacher Scott Benedict shared his concerns about the number of students in the special education classrooms, and lack of teachers. “We feel it’s critical. Some are up in the 22 to 25. It drives a lot of our suspensions and referrals,” he stated to heavy applause. “We’re using like a 1970’s model for hiring, we wait until April,” he added. Lone Tree Elementary Teacher Sarah Nichols wanted to know why Superintendent Dr. Don Gill was placed on paid administrative leave, to strong applause. Antioch High French teacher Sara Savacool, Political Chair of Antioch Education Association, the local teachers’ union, joined several teachers in expressing her dissatisfaction with the current state of substitute teaching in the district. Savacool made it clear that there are too few substitute teachers available, leaving many overworked. “There are not enough substitutes in the sub pool,” Savacool continued. She told the board that many substitutes do not receive sufficient training and therefore make less of an impact than they could and the fact that teachers are substituting in classes, during the day, earning them time off. The bank day system, in which teachers can save up time off over the course of a school year and later use them all at once as a vacation, is flawed, said Savacool, as it makes substitute teachers’ job more difficult and stretches the sub pool thin when replacements are called upon for so many days in a row. Savacool suggested several best practice strategies that she has seen work well in the past. Having permanent substitute teachers at schools, whom the students and staff know, would increase the effectiveness of the substitute teachers and allow them to make a greater impact. Smith and the other board members, as well as Anello said they would look into the challenges and work to address each one. The next Board meeting will be held on Wednesday, December 9th at which the new Trustee, Fernando Navarro will be sworn in to fill the vacancy left by the resignation in September by Barbara Cowan. On Wednesday, November 25, 2015 at approximately 3:43 PM, Antioch Police Officers were dispatched to the 500 block of W 9th St for a custody dispute involving a 9-month-old female. Officers arrived on scene and contacted the child’s mother, a 19-year-old Antioch resident. The child’s mother reported that during an argument, her estranged husband, a 20-year-old resident of Waterford, took their 9-month-old child and fled in a vehicle that did not have a car seat, while also driving recklessly. She reported that she continued to argue with the father via cell phone at which point he made threats to kill himself and the child. The child and her father were eventually located at an apartment in Waterford. The child was not harmed and was returned to her mother. The child’s father was arrested for criminal threats and an unrelated felony warrant from Sacrament County. This preliminary information is made available by the Field Services Bureau. On Thursday, November 19, 2015 at approximately 4:47 PM, the Antioch Police Department was dispatched to a residence in the 2300 block of Peppertree way for an unresponsive male after a disturbance at the location. This incident was brought to the attention of the Antioch Police Department after receiving a 911 call from 43-year-old Lisa Parker of Antioch. She advised she had just assaulted the victim and left him on the floor of the residence as she walked to a relative’s house some distance away and called the police from there. Parker was immediately contacted at her location while officers went to the Peppertree Way address and found the victim unconscious. 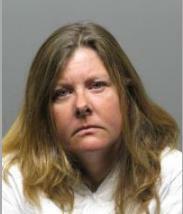 Parker was taken into custody and booked into the Contra Costa County Jail on the below charges. Parker and the victim have known each other for some time. The male, a 69-year-old Antioch resident, was transported to an area hospital where he is in critical condition. The victim remains in critical condition at an area hospital. Anyone with information regarding this case is encouraged to call Detective Vanderpool with the Antioch Police Department at (925)779-6988. You may also text a tip to 274637 (CRIMES) using key word ANTIOCH.